Ghana has always been an epitome of technological growth in Africa. Now with Accra as the focus, it is clear that Ghana has a promising future as the most advanced country in the continent. Indeed, just as any city, there are things that hinder technological progress in Accra. Nonetheless, this city has a whole lot of elements working in its favor. In this article, we review some strengths Accra possesses and their roles in spurring technology. 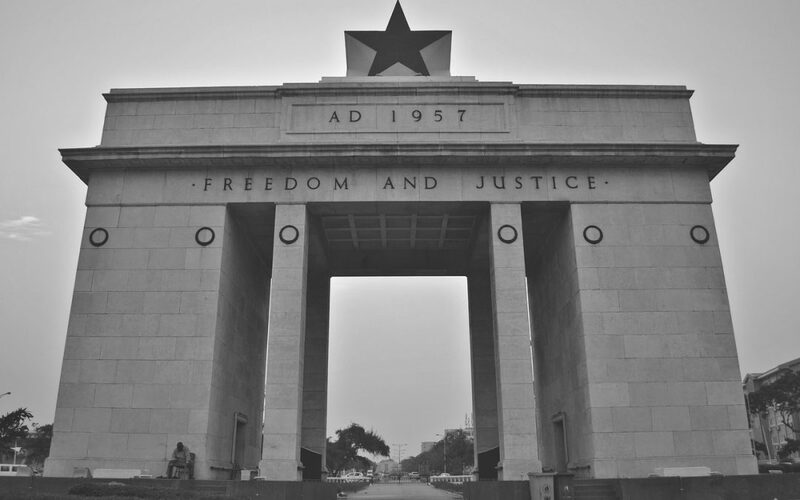 Since the establishment of the 4th Republican Democratic system of governance, Accra and Ghana, as a whole, has maintained peace. Unlike other African countries, Ghana has had smooth transitions of governments, rendering the country a stable one. In addition, the rate of crime is much lower as compared to other giant African countries like Nigeria and South Africa. Getting a visa to visit Ghana is as easy as they come. There are also a lot of airlines with direct flights to Ghana from the largest cities in the world. Sometimes costly, but its availability is certain. A huge part of Ghana’s population is youthful. Per the statistics, the median age in the country is 21. Also, the average youth owns a smartphone, is connected to the internet & social media, and is in turn up-to-date on technology. Another key statistic is that over 2.2 million people live in Accra, which is larger than the number in any other Ghanaian city. This proves that the future starts here in Accra. It is evident that accessible and quality education is of interest to Ghanaians. Primary education is free to all, and now, secondary education is as well. Tertiary education is also at its peak here, with top-class universities and colleges all over the country. For instance, there are internationally recognized institutions like the University of Ghana, run by government, and Ashesi University, a non-profit school founded by an ex-Microsoft employee. It is beautiful to know that the two major religious entities, Christians and Muslims, get along so well in Ghana. Ghanaians observe both Christian and Muslim holidays with diligence. There are other religions in the country which also thrive peacefully. Truly, Ghana is a country to be envied by all. Sports, with reference to football, is loved by majority, if not all, in Ghana. The enthusiasm Ghanaians portray when it’s time to support their National Football Team is a sight to bestow. In every corner of Accra, you would come across a sports bar, viewing centre, a betting centre and of course, soccer playing fields. Music is also at the heart of every Ghanaian. With our unique genres, high life and hip-life, the country has spearheaded the African music scene by greatly influencing the continent’s most popular genre, ‘Afrobeats’. And when it comes to arts, Ghana has it all. From talented artists, sculptors and photographers to annual art-themed events like the Chalewote and Sabolai festivals, Accra is the pivot of Ghana’s creativity. This country provides a perfect blend of hospitality, delicious cuisine and unforgettable sight-seeing. Accra, for instance, has an abundance of hostels, cottages, guest-houses and luxury hotels to suit all pocket types. The famous ‘Ghanaian Jollof’ is just as it’s rumored to be, a masterpiece (and better than Nigerian Jollof). Plus there are other local dishes that live up to the hype. And as for tourism, we have both historical and aesthetic sites scattered all over the nation. One of the major positives Accra and Ghana has, is its ability to embrace technology in any form. Accra serves as the home to many tech firms and startups. It hosts companies such as mPedigree, who validate pharmaceuticals’ provenance, Rancard co-owned by Intel who provide information services over SMS to telecommunication companies in the region. There is also Busy Internet, an early player in the local ISP scene, Impact Hub Ghana, an incubator for tech startups, and Meltwater Entrepreneurial School of Technology (MEST) which offers end-to-end IT training, mentorship and funding to software startups. And of course, countless government and private firms using technology one way or the other to run their business. Accra, in particular, is a host for huge international firms like Google, Nestle, Unilever, Guinness, Vodafone, Shell, KPMG, Deloitte, Samsung and more. They range from all sectors and in all sizes. There are many more reasons why Accra is a suitable place for tech businesses. Even though we cannot mention them all in this article, we have enough to conclude, that Accra is the one city in Africa with the most potential to take over the tech scene. In our next articles, we would explore the various areas that Ghana has to pay attention to in order to become Africa’s tech giants.